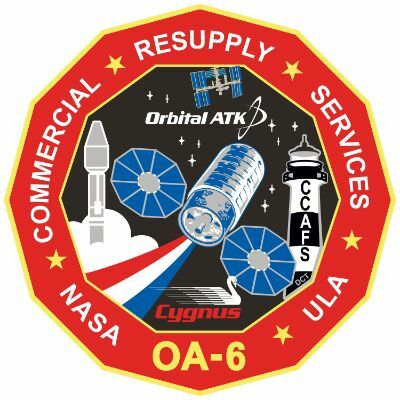 Cygnus OA-6 is the fifth operational flight of the Cygnus cargo spacecraft to the International Space Station, the second to use the Enhanced Cygnus version and the second of two launching on the Atlas V rocket. 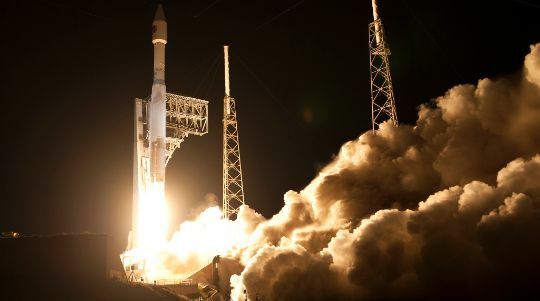 Orbital ATK contracted United Launch Alliance in late 2014 for a pair of Cygnus launches atop the Atlas V in the wake of the Orb-3 launch failure to allow Orbital ATK to re-fit the Antares launch vehicle with new engines for a return to flight with the OA-5 mission in mid-2016. Cygnus OA-6 is the first flight of the SAFFIRE Spacecraft Fire Experiment that will examine how fires spread in a spacecraft for the improvement of the fire safety on future spacecraft. 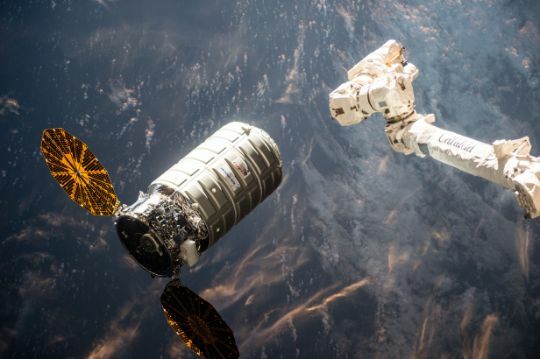 SAFFIRE will start an internal fire within an experiment enclosure after Cygnus has left ISS, allowing scientists to safely study the properties of larger fires in space which has not been possible in the past. 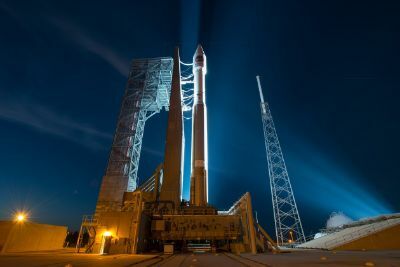 Taking advantage of the power of the Atlas V rocket, Cygnus can be packed to capacity, delivering 3,395 Kilograms of cargo, continuing to make up for lost upmass in the Orb-3 failure. The OA-6 mission is expected to lift off in March 2016 and the spacecraft is booked for a stay of nearly two months to allow the six crew members in orbit to unload the cargo from the spacecraft and place around 1,726 Kilograms of disposal items on the spacecraft. 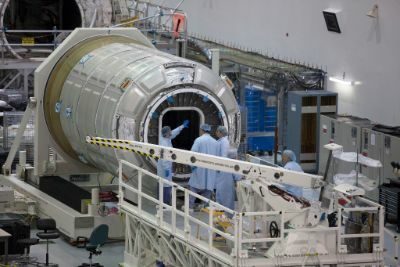 The Cygnus OA-6 spacecraft is loaded with supplies for the crew comprised of food, hygiene articles, personal items and clothing, as well as systems hardware and replacement parts for the various onboard systems on the U.S. 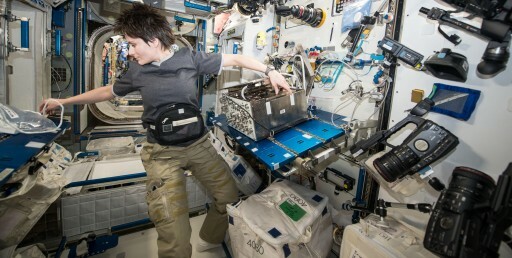 Segment, spacewalking equipment and computer resources. 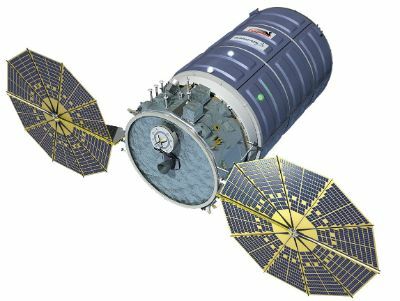 Also, Cygnus is delivering new science facilities and experiment equipment for several dozen experiments in progress during ISS Expeditions 47 and 48. 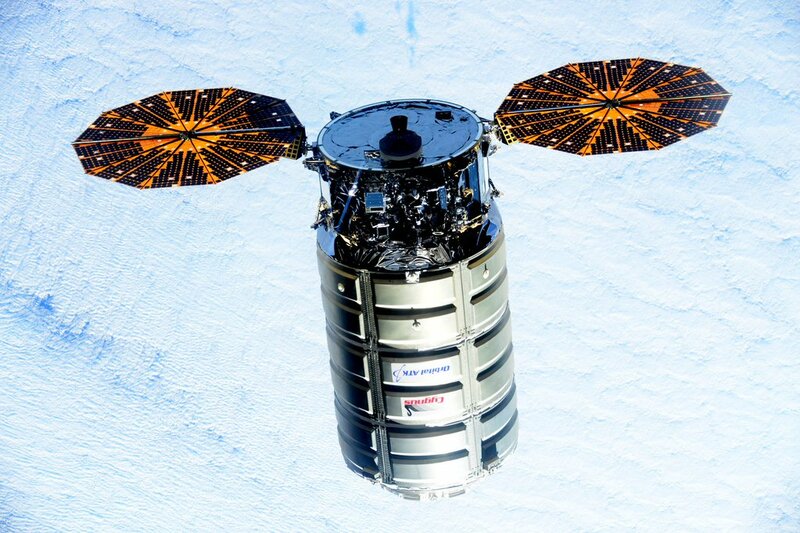 SAFFIRE-I, the first Spacecraft Fire Experiment, will intentionally light a large-scale fire inside the Cygnus spacecraft after its departure of ISS, a few days before it re-enters Earth’s atmosphere. Only very few experiments were run to study combustion and fire processes in microgravity, let alone large-scale fire progression within a spacecraft. SAFFIRE aims to study a realistic fire on a space vehicle, looking at flame growth, temperatures and oxygen use to assess how microgravity and limited oxygen affect the properties of a fire. Data from SAFFIRE will be used to improve fire safety on future crewed spacecraft and help NASA in choosing materials for future vehicles. Despite decades of combustion experiments run in space, only few tests have studied spacecraft fire safety and none have studied environment sizes typical for a spacecraft fire due to obvious concerns of running this type of experiment in an inhabited spacecraft. 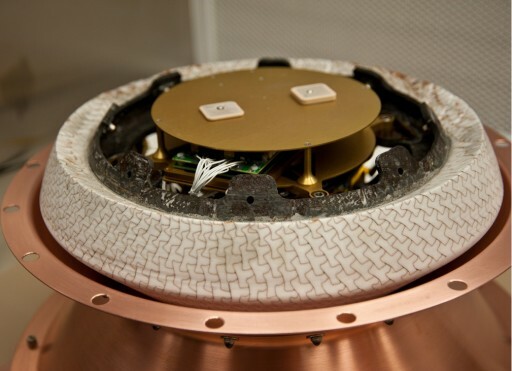 Due to the lack of firm data, spacecraft manufacturers use models and standards for terrestrial fires when designing spacecraft fire safety systems. Although this approach has been successful thus far, there is inherent risk due to the level of uncertainty in modeling large-scale fires in space. SAFFIRE proposes to set fire to material samples around one meter in size to study large-scale flame growth and fire dynamics not possible within the experiment facilities of ISS. The sample material is approximately 0.4 by 1.0 meters in size, consisting of a panel of thin material. Ignition is accomplished with a hot wire along the upstream edge. The SAFFIRE-II test will use nine sample strips of 5 by 30 centimeters to assess the Maximum Oxygen Concentration (MOC) flammability limits of different materials. The SAFFIRE I and III experiments will use a 40-centimeter wide and 94 centimeter long sample of 75% cotton and 25% fiberglass blend burned at two different flow speeds. 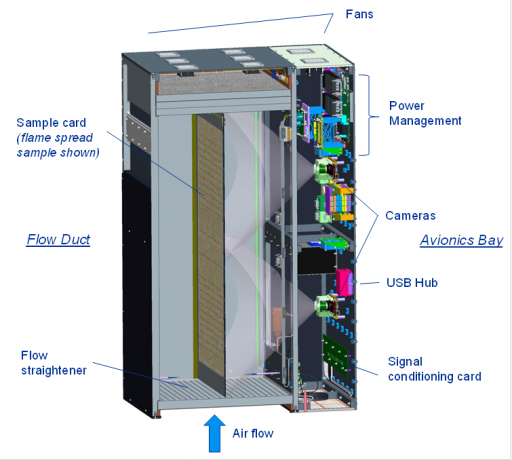 The original Meteor hardware was expected to arrive aboard the International Space Station in October 2014 on the Cygnus Orb-3 resupply craft that unfortunately was lost in a launch failure of its Antares launch vehicle just seconds after lifting off. Re-flight hardware, using an already existing spare, began assembly shortly after the failure given the scientific return expected from this interesting study. 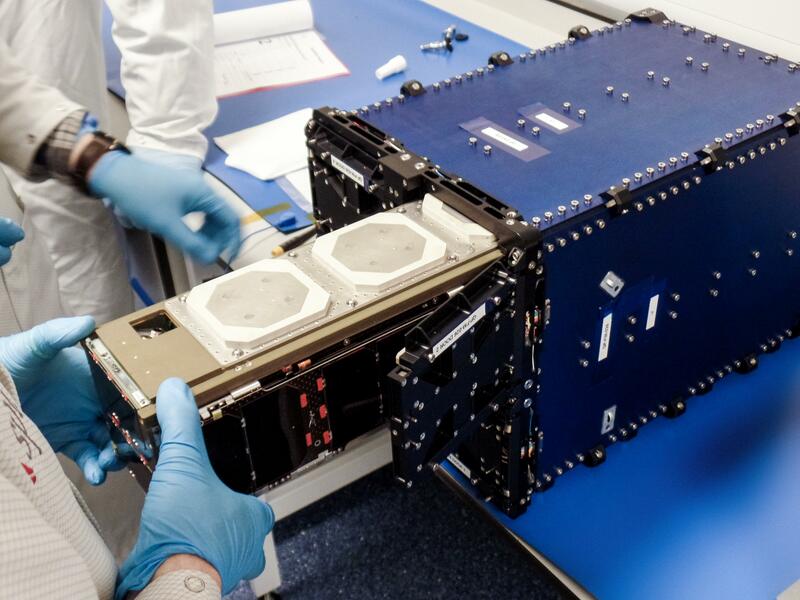 This spare unit was placed on the Dragon SpX-7 spacecraft for a ride to ISS but never made it into orbit when the Falcon 9 rocket experienced a catastrophic failure in its second stage pressurization system. A third Meteor Unit was commissioned to finally take its spot aboard ISS to watch meteors in Earth’s atmosphere from its unique vantage point high above. 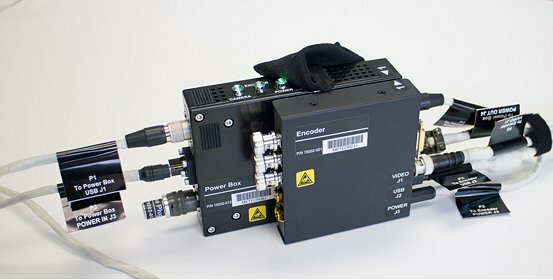 The Meteor study, going by the full name of ‘Meteor Composition Determination,’ is the first of its kind to be deployed in space, solely focused on the analysis of meteors entering Earth’s atmosphere and pin-pointing their composition through their optical emissions when burning up in the atmosphere. Meteor research from Earth is next to impossible due to the frequency of meteor events over any given location and the interference created by Earth’s atmosphere (ozone absorption). On ISS, however, crews can spot meteors every couple of days, making it a suitable platform to test out equipment for the study of meteors. Meteor is a high-resolution spectrographic imager that will operate for two years inside the Window Observation Facility to create a continuous record of meteor activity. The camera is outfitted with an infrared cut filter and only looks at visible wavelengths up to 700 nanometers which is sufficient to conduct spectral analysis and determine a meteor’s elemental composition. Major emission lines that will be looked at include iron (370nm), calcium (393nm), magnesium (518nm) and sodium (589nm). 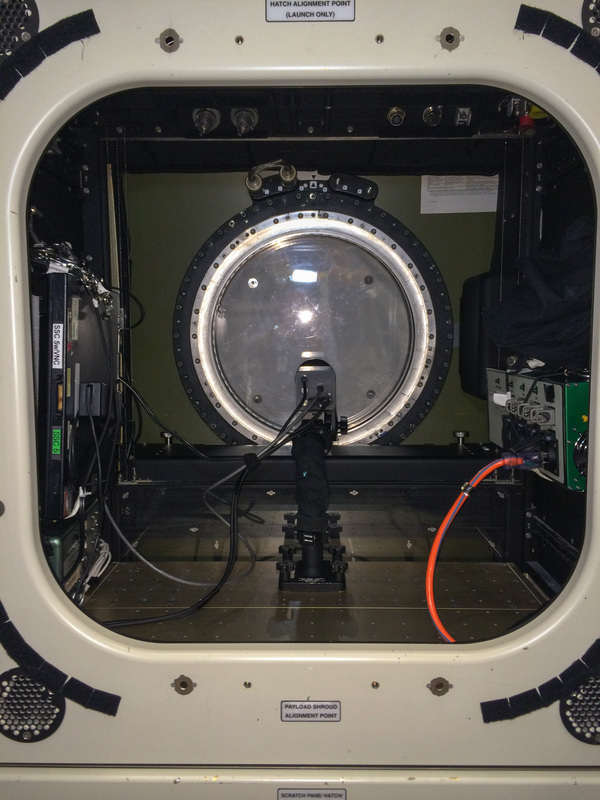 Although the Window Observation Facility window has a limited transmittance at the 370nm wavelength (~21%), measurements of that line will still be useful for the study. Strata-I investigates the properties and behavior of regolith, the impact-shattered soil found on asteroids, comets, the Moon and other airless bodies. Regolith is different from soil on Earth in that it contains no living material. The behavior of regolith in microgravity is virtually unknown and has obvious implications when attempting to anchor a spacecraft in regolith. 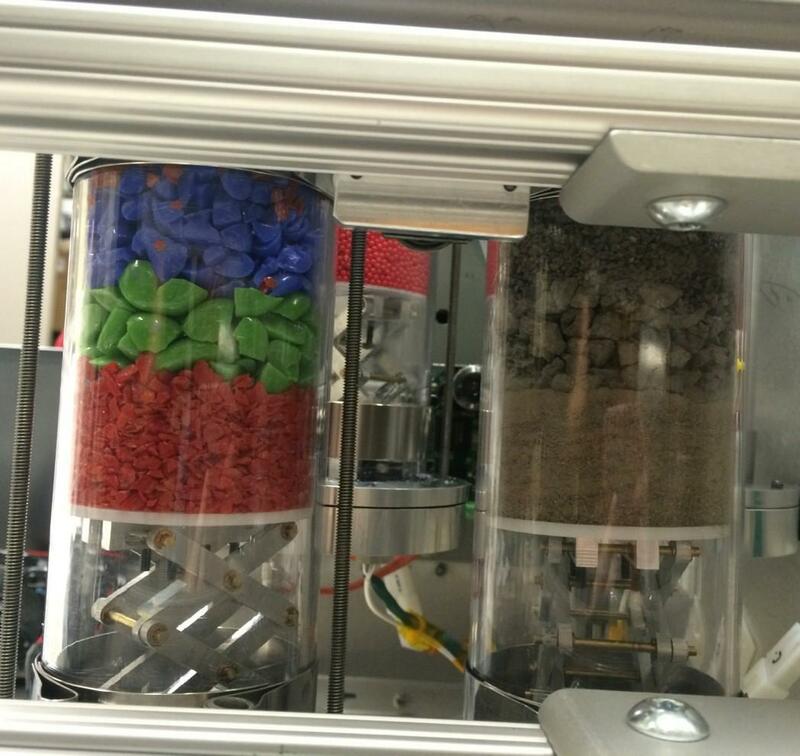 Strata-1 also studies how regolith interacts with spacecraft and spacesuit material and whether it is possible to process large volumes of regolith. Information from previous missions including NASA’s Stardust, ESA’s Rosetta and JAXA’s Hayabusa-1 have shown that regolith may flow like sediments as asteroids and comets deform. Many asteroids feature low bulk densities and a mechanical structure composed of loosely bound particles which are mostly free to move. Detailed research is needed to better understand regolith physics in microgravity. The Strata-I experiment facility exposes a series of regolith simulants to microgravity over a prolonged period of time as well as the ambient vibration environment on ISS. The samples are layered in four clear polycarbonate tubes including pulverized meteorite material, glass beads and regolith simulants. Each tube, with an inner diameter of 6.3 centimeters, includes a device (“Entrapulator) that lightly compresses the material for launch and landing, preventing any movement when not exposed to microgravity. 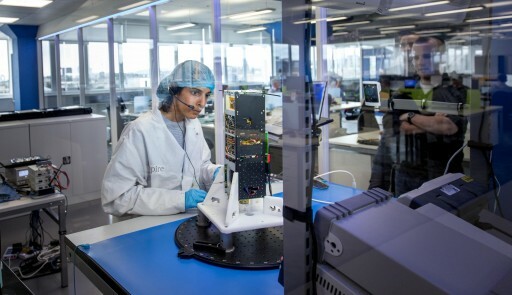 Four HD cameras are part of the Strata-I facility, lighting is provided by white LEDs and imagery is stored on SD Cards that are periodically exchanged and data is transferred to an ISS computer for downlink to the ground. Changes to the layering of material (stratigraphy), size sorting and particle migration within the tubes will be observed from the ground through video and still imagery. Returned to Earth, the material distribution will be analyzed to look at the behavior of material seen on asteroids, Mars moon Photos and other possible targets for future robotic and crewed exploration. The materials chosen for Strata-I span a range of complexity from a simple system of glass spheres to more complex systems of crushed meteorite material. Three size species are part of each tube, launched in a perfectly layered arrangement held in place by the entrapulator. The first tube of the experiment contains spherical glass particles with three discrete sizes of 2, 5 and 10 millimeters, each with its own color. The grain sizes and quantity of each species were chosen based on numerical constraints and to ensure that particle-particle collisions dominate over interactions with the tube. The materials in the second tube have identical properties in terms of size and size distribution, except that this tube features angular particles created by fracturing hemispherical particles and sieving them to achieve the required size distribution. A comparison between Tube 1 and 2 will allow scientists to identify the influence and significance of grain shape on the segregation process. The third tube contains a crushed and sieved ordinary chondrite meteorite in order to simulate the behavior of this type of material. Unlike tubes 1 and 2, this tube contains particles of a wide density range to include metal and sulfide-bearing meteorite fragments. Tube 3 includes fines with very small diameters and grains of 1 and 4 millimeters. The fourth experiment tube contains carbonaceous chondrite simulant, sieved to the same size fractions as Tube 3. Simulating the mineralogy, particle size and strength properties of carbonaceous chondrite will deliver results relevant to missions such as OSIRIS-REx, Hayabusa 2 and the Asteroid Redirect Mission exploring this type of material on asteroids. The materials of the Strata-I study provide an analog for carbonaceous chondrite asteroids and Phobos while future investigations will look at exposure studies of spacecraft and spacesuit material to carbonaceous materials. 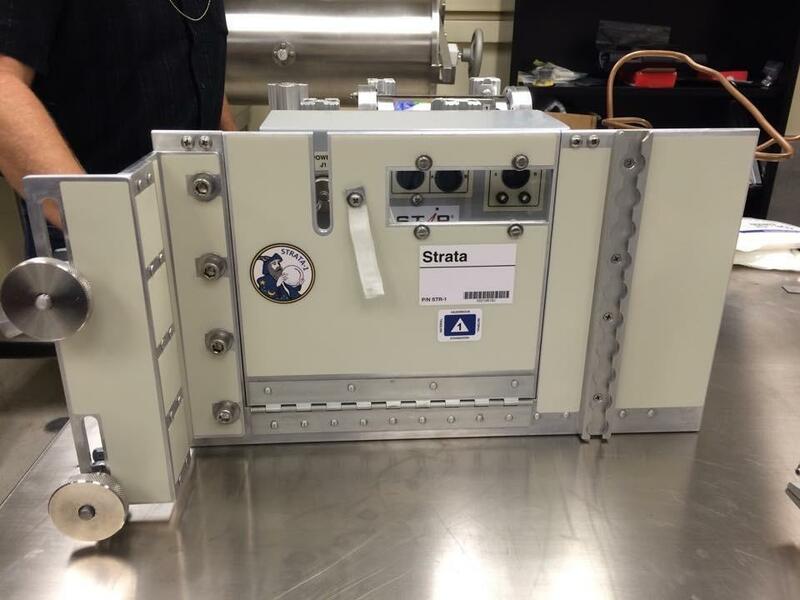 The Strata-I materials will be returned to Earth after a full year in space to quantify the spatial distribution of particles in terms of size and density. 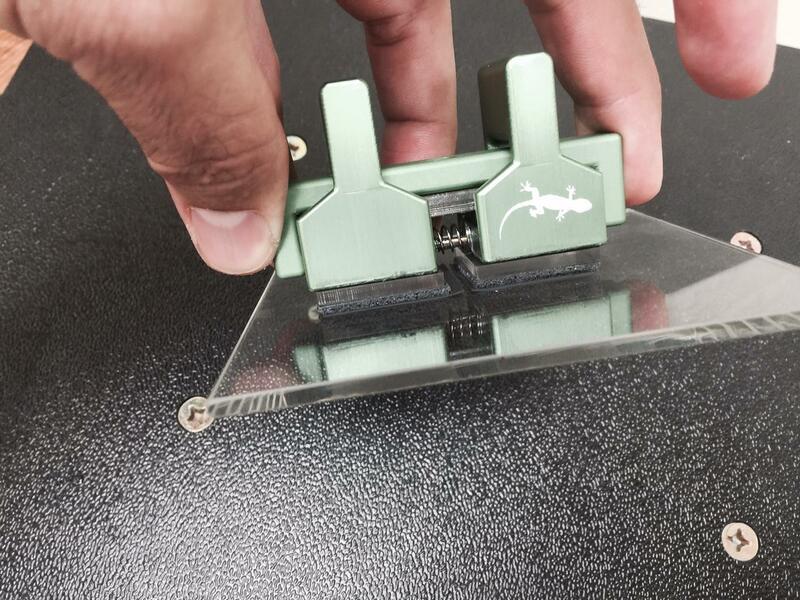 The Gecko Gripper investigation tests a gecko-adhesive gripping device that can stick on command in the microgravity environment. Geckos have specialized hairs on their feet, known as setae, that allow them to stick to vertical surfaces and their stickiness does not wear over repeated use. The use of this type of technology is hoped to enable many new capabilities such as robotic crawlers that could grip to spacecraft exteriors, manipulator systems capable of catching and releasing objects, and sensor mounts capable of working on any surface. 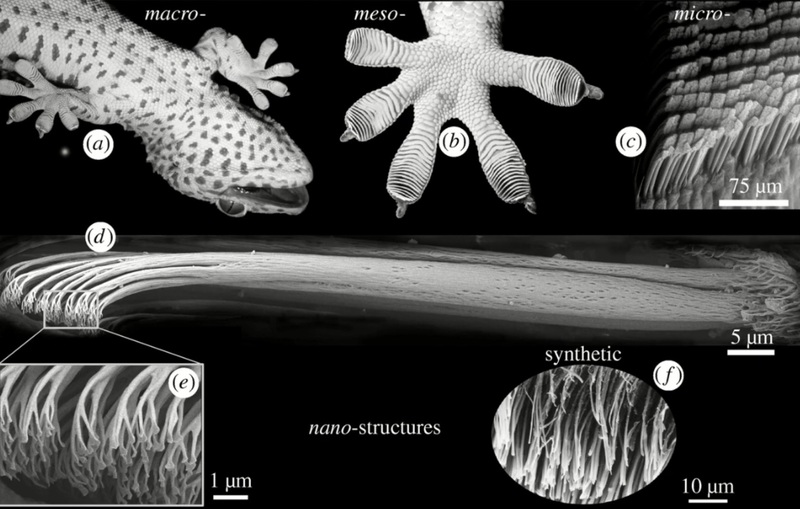 Gecko adhesives, like the animals themselves, make use of microscopic angled hairs to stick to surfaces using Van Der Waals forces. 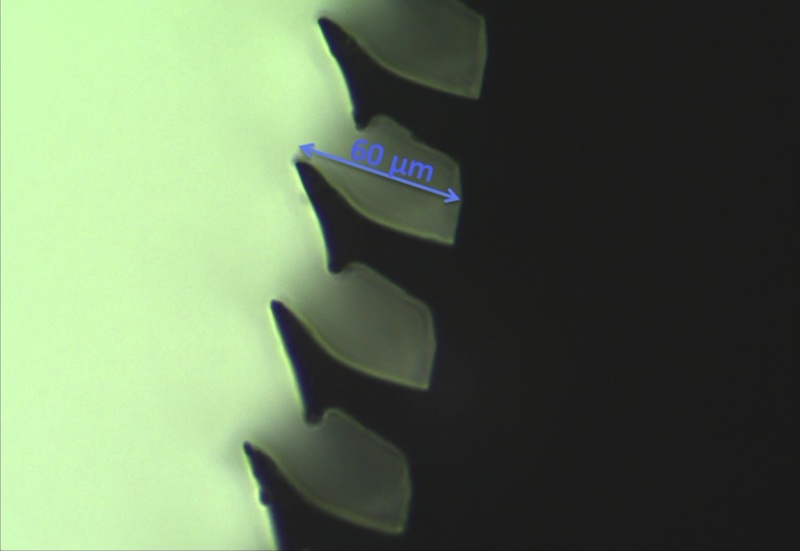 In the device, adhesion can be turned on and off through a slight sliding motion due to the geometry of the microstructure. The gripper can be used for thousands of cycles without loosing its effectiveness and no marks, residue, fibers or damage is left on the surface. The Gecko Gripper experiment flies three grippers in three sizes each with two gecko adhesive pads in opposition to one another. Springs between the two pads allow the operators to prepare the the device for gripping by squeezing the pads together. The pads are touched to the surface with less than a Kilogram-force of pressure. 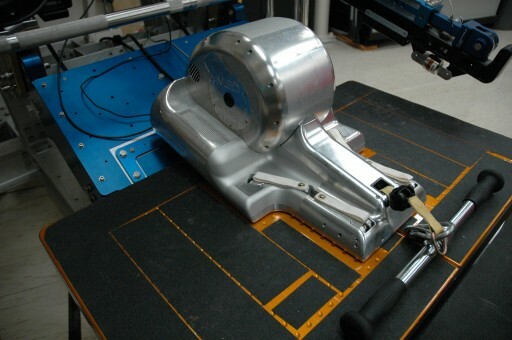 Once gripped to a surface, the gripper can tolerate loads and moments in all directions up to 10 Kilograms. The gripper can remain in place indefinitely and, to release, the pads are squeezed back together to pull the device away from the surface. Testing on ISS will be compared to tests completed in a gravity environment to learn more about the physics and mechanisms of gecko adhesive which will be useful in the design of scaled-up systems for use in space. In-space application of large-scale gecko adhesive systems may include robotic repairs of spacecraft and orbital debris mitigation. 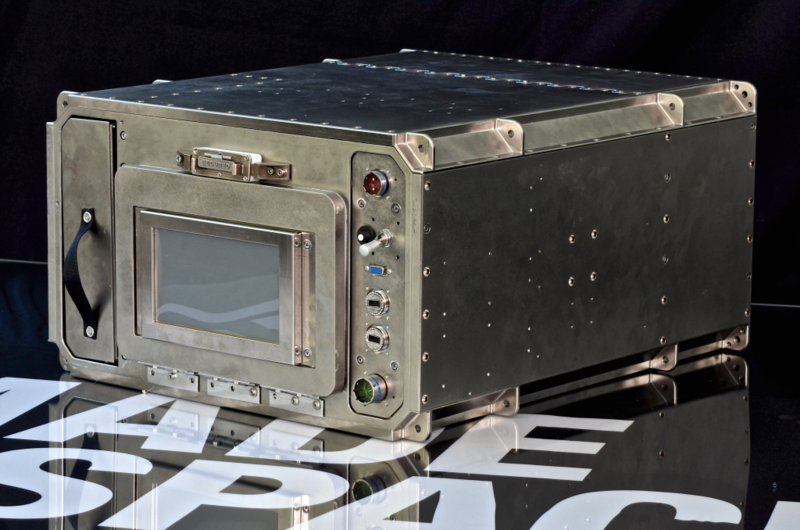 The Additive Manufacturing Facility is the second 3D Printing device to fly to the International Space Station. The first 3D printer flew to ISS in 2014 for a demonstration mission known as the 3D Printing In Zero-G Technology Demonstration (3-D Printing In Zero-G) experiment. This initial deployment of a 3D printer had the objective of exploring the possibilities of 3D printing in space for application in future Space Station missions and for Deep Space flights as part of a ‘machine shop in space’ allowing for the production of spare parts and other items needed for such missions. 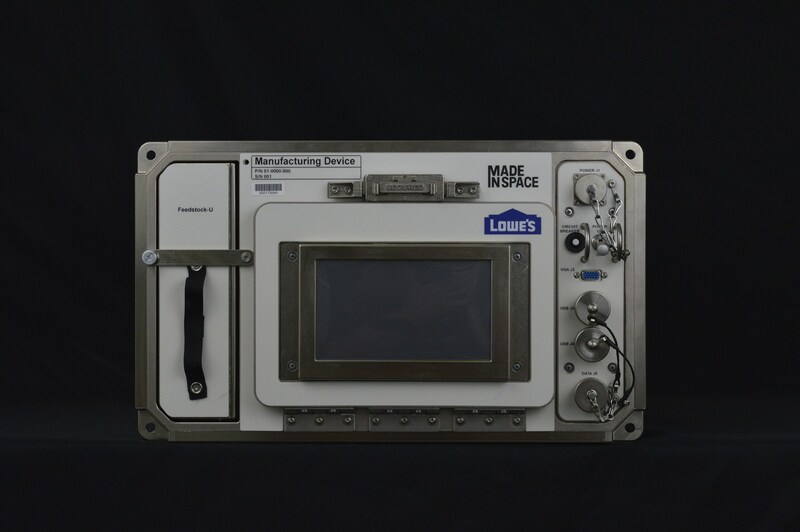 The Additive Manufacturing Facility will serve a more operational character, allowing components of experiments or systems to be produced on ISS, using a wide variety of space-rated composites, thermopolymers including engineered plastics. AMF is a permanent manufacturing facility for ISS, about twice the size of its predecessor and was also built by Made In Space. AMF is installed in the mid-deck locker of an Express Rack and offers a print volume of 18 by 14 by 10 centimeters. Supported materials are ABS, HDPE, PEI/PC. Cardiac and Vessel Structure and Function with Long-Duration Space Flight and Recovery (Vascular Echo) studies changes in blood vessels and the heart while crew members are in space, looking at changes in the arteries when completing long-duration space missions as a stiffening in arterial walls has been observed in astronauts returning from space, similar to a process occurring as part of aging. Changes in size and elastic properties of blood vessels have been seen in space flight. These changes might be related to the removal of the effects of gravity on the blood pressure and the energy expenditure required to complete typical tasks as part of routine operations. Long-term effects of arterial changes can lead to cardiovascular health consequences. Study of the processes and potential countermeasures for this phenomenon is relevant for future interplanetary exploration as well as on Earth where lifestyles have changed to make the population more susceptible to this type of issue. This study looks at the occurrence and indicators of airway inflammation in ISS crew members as the result of dust particles present aboard the Space Station. 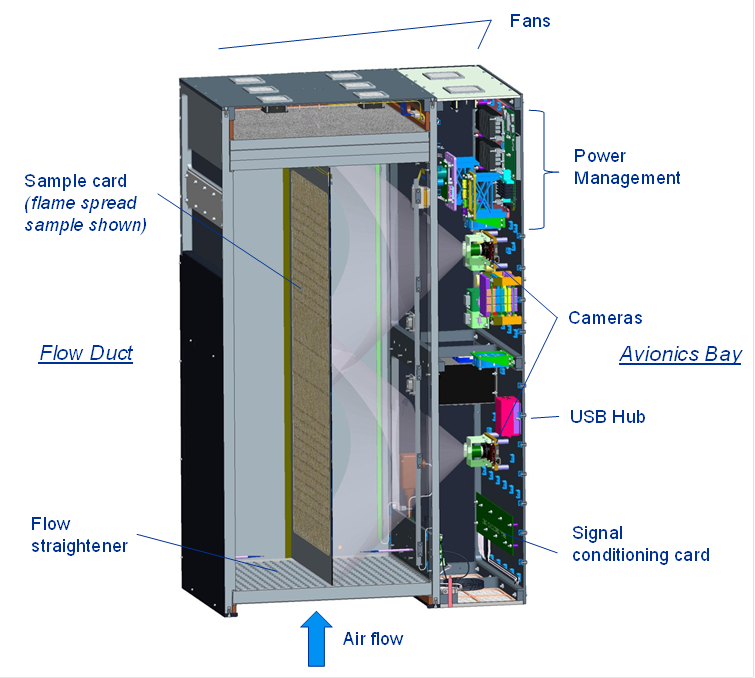 The experiment uses ultra-sensitive gas analyzers to study exhaled air to assess the health impacts related to dust, especially for longer duration missions for which crew members have to be self-sufficient in atmospheric maintenance and the treatment of potential health conditions. Airway inflammation will be assessed by measuring exhaled nitric oxide. This type of diagnostic may also find application on Earth for the monitoring of asthma or other inflammatory airway diseases. REBR, the Re-Entry Breakup Recorder, records data regarding the thermal, acceleration, rotational and other stresses the vehicle experiences during its destructive re-entry process. 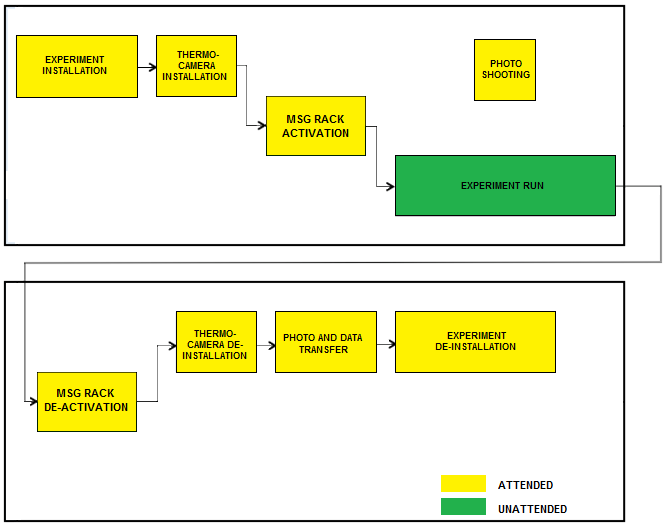 This data is used to improve Re-Entry Simulation Models that show inaccuracies for the peak heating environment of re-entry. REBR has a mass of about 4 kilograms and is 31-centimeters in diameter. 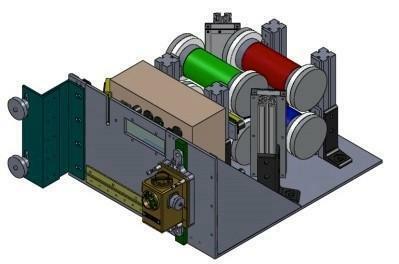 The REBR design consists of a sensor suite composed of a GPS receiver, temperature sensors, accelerometers and rate gyros, a pressure sensor, electronics, a commercially-available Iridium modem, a combination GPS/Iridium antenna, and batteries. The data that is acquired is stored inside the REBR memory and after entry, when the device is free falling towards Earth, it makes contact with the Iridium Satellite Fleet – making a ‘call’ home to transmit acquired information. “The REBR is designed to be released from the reentering host vehicle during the breakup process, to fly free and reach a subsonic, free-fall velocity at about 18 km altitude, from where it will make an Iridium satellite call to ‘phone home’ its recorded data before it, too, impacts the Earth. 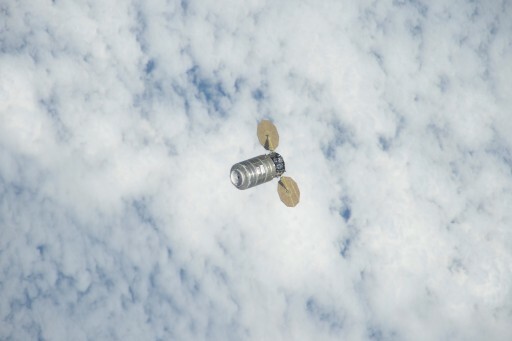 Recovery of the device is not required,” said ESA’s Charlotte Beskow, Deputy ATV Program Head. REBRs have flown on several previous ATV and HTV Missions. 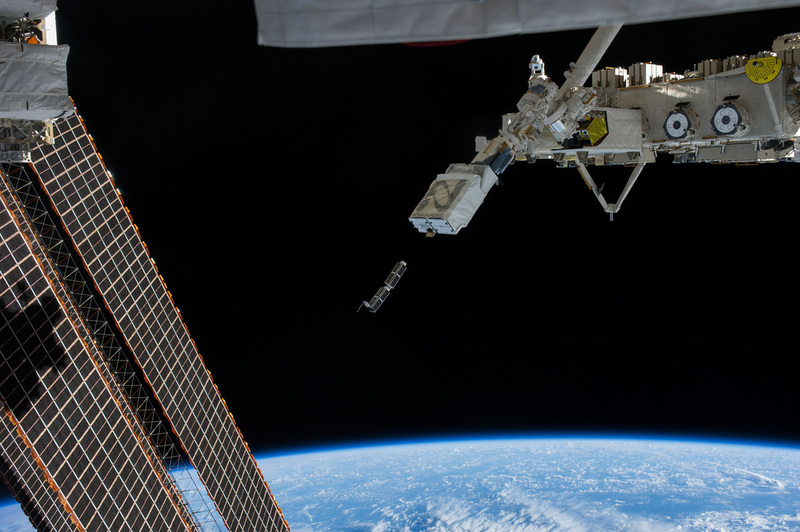 Data acquired by Re-Entry Data Recorders can be used to improve future space vehicle design, satellite reentry predictions and space debris. Flock 1 & 2 is a satellite constellation of CubeSats dedicated to Earth Observations using a fleet of small satellites to generate high-resolution images of Earth achieving resolutions of three to five meters. The operational constellation began deployment in 2014 and uses a combination of shorter and longer lived orbits being launched from the International Space Station and different orbital launch vehicles. 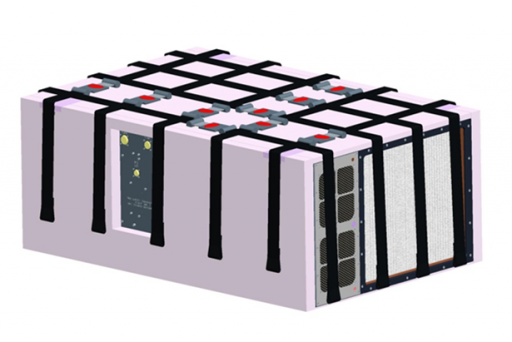 The Flock 2 spacecraft are based on the three-unit CubeSat specification having a launch mass of about 5 Kilograms and being 100mm × 100mm × 340mm in size featuring body mounted solar panels and two deployable solar arrays with three panels each using triangular advanced solar cells. 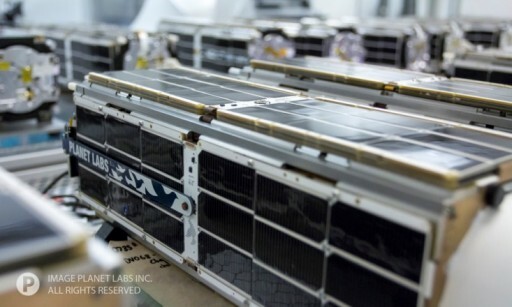 According to Planet Labs, the Flock-2e-Prime batch of satellites is comprised of standard RGB full-color imaging satellites, satellites supporting RGB and near-infrared imaging, and five technology demonstration satellites testing systems for the next generation of CubeSats. The Flock satellites, also known as Doves, are going through constant modifications and improvements, even within a group of satellites, not all are necessarily identical. 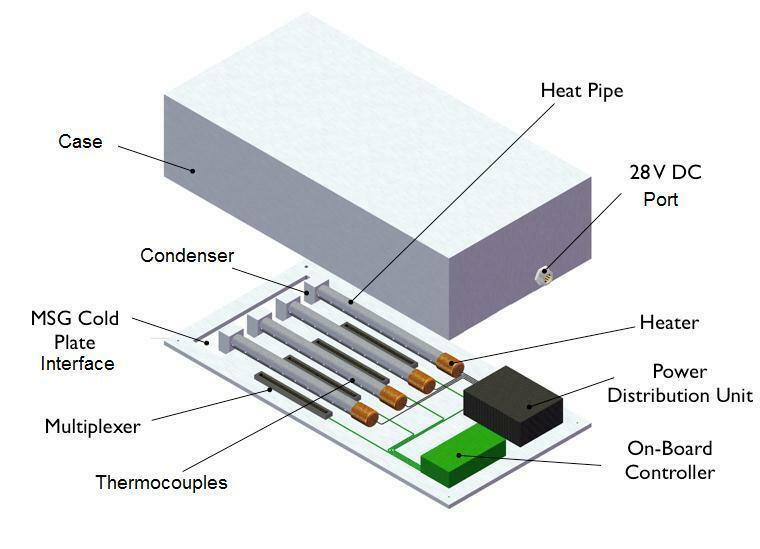 Variations that have been introduced include the use of improved detectors and infrared filters. The Lemur-2 satellites are 3-Unit CubeSats built and operated by NanoSatisfi, now named Spire Global, to establish a constellation of small, inexpensive satellites in operation for a number of purposes such as Earth observation, maritime monitoring, communications, meteorology and science. The first Lemur satellite launched in 2014 and carried a series of technical demonstration payloads plus two Earth observation systems operating in the visible and infrared wavelength ranges. 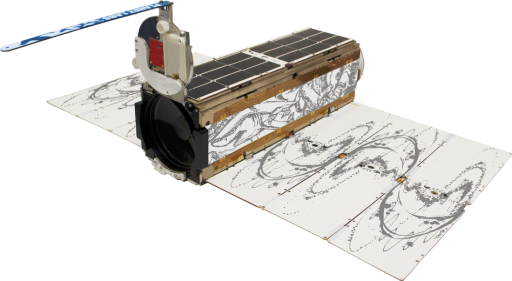 The Lemur-2 satellites carry two different payloads, SENSE, dedicated to maritime monitoring, and STRATOS for atmospheric measurements.